The virtue tradition that has informed much of my thinking in recent years (e.g. virtue and happiness) tends to rely on an understanding of “human nature” for its conception of the good life. That is, it assumes that happiness – well-being – is achieved when we flourish according to our nature. The difficulty comes in determining exactly what constitutes that nature. In fact, this is more than a difficulty. Our conception of what is (and what is not) natural is too easily subject to prejudice, with oppressive consequences. Not so long ago it would have been assumed that even a person who was blind or deaf simply couldn’t participate in higher education or political life, that a person in a wheelchair could not participate in sports or perform in a wide range of jobs. Impediments that were thoroughly social were seen as natural. She goes on to describe the gains that have been made with helping people with down syndrome to flourish. Many of the physical and cognitive limitations that were once taken to be unalterable (natural), have been transcended by the implementation of bodily exercises and massage, speech therapy, and targeted education (in public schools with so-called “normal” children), and this was achieved because parents and advocates refused to accept the limitations that came with assumptions about what such children might “naturally” achieve. Nussbaum does think that there is value in identifying fundamental dimensions of human nature – what she describes as “central human capabilities.” These form the basis for human rights and justice – and in a future post I might discuss them. One of those capacities is “control over one’s environment”, which includes political rights – the capacity to participate in political choices that govern one’s future. This is noteworthy today as Australians went to the polls to decide on the next government and Prime Minister. 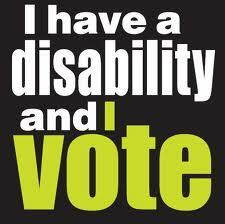 Under Australia’s voting system, people with intellectual disabilities are not excluded; and that is as it should be. It would once have been assumed that intellectual impairment made it impossible for a person to make rational political choices. Such an assumption both overstates the rationality of “normal” people, and denies the humanity of those with particular disabilities. Having said this, the Australian system is not without its prejudice. An online voting system intended to enable the visually impaired to vote independently was trialled in 2007, but discontinued – although a telephone system has been made available. You might be thinking, “what difference does it make if a blind person can vote with the help of a carer?” Of course, people with a disability appreciate their carers, but independence – and achieving as much independence as we are capable of – is fundamental to human flourishing, and so the right to independent voting is a vital symbol of the rights of the blind in Australian society. I am so relieved that they no longer call those with a disability – invalids – such a dreadful term! Oooo I really like this blog a lot! We have to catch ourselves all the time with Sunny on this issue – and we are parents of special needs! The more care someone needs, the more people assume independence is only a ‘nice option’. My kids school friends (8 years old) think impairment is normal thanks to a more modern and sophisticated approach to teaching. Our future is in good hands! Love your thinking Shane! probably better off without the sausage sizzle, but thanks for sharing your experience of the two different methods. There is something deeply personal about filling in a voting slip that I can well imagine is lost in telephone voting. In my case, I needed someone to help me write on the form, and since that occurred I voted in the Senate above the line rather than below the line – which I feel guilty about, but pragmatics won out. Like you, I would much prefer an online voting system.